Behind R T L SOLE is the imagination of Danielle Nadia Simm. Danielle’s work draws upon her vast life experiences, personal relationships, fortuitous exchanges with bizarre strangers, cold places and endless spaces. Traditionally trained in the field of Print Media, screen printing being her passion, Danielle chooses not to be confined to one but uses an array of mediums and styles to communicate how she perceives the changing world around us. 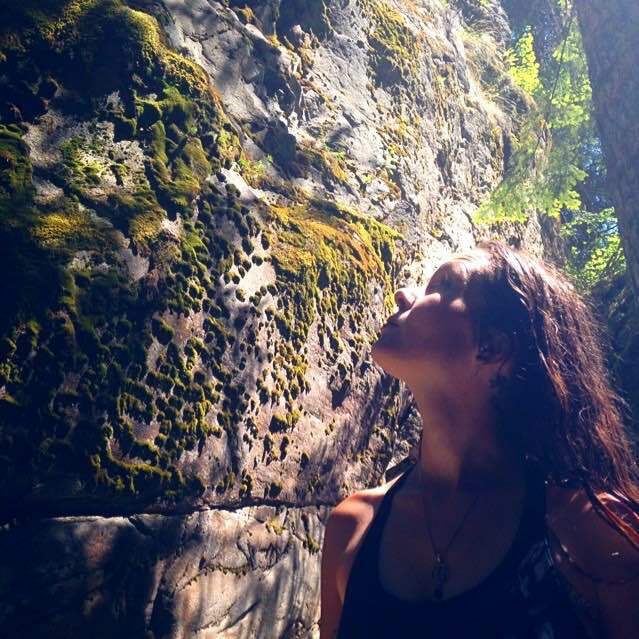 Lover of all things moss, mushrooms and the delicate blanket of mother nature, you can find her either frolicking in the forest or teaching her son about the wonderment of love and life all while being hugged by the mountains in Nelson, BC.